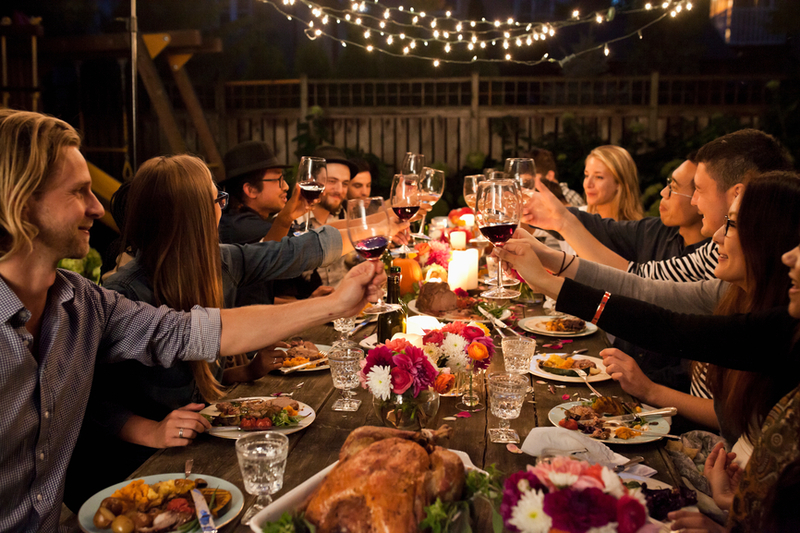 Whether it’s with your immediate family, relatives, or family-friends, the people surrounding your table cared enough about your presence to have you sitting right there next to them on Thanksgiving. As you look around, take a moment and think about why you are thankful for each person at the table. Maybe they’ve helped you with something simple or maybe something rough. Either way, it doesn't hurt to remind yourself of why you are thankful for certain people. Especially the ones at the most thankful dinner of all. With things so crazy in the world around us, it is so important to savor these moments we have with the people we love. Whether it is conversation in the kitchen with cousins or Thanksgiving dinner hilarious story-times, really take in and love these moments because they are not always promised to us. I think that when we’re more mindful of the importance these moments hold, it teaches us to appreciate the people we share them with even more. We gain a more selfless view of life and start making times like these count. 3. If You Never Tell People You’re Thankful For Them, DO IT NOW! What better day to show gratitude towards someone? If it’s out of your comfort zone and you aren’t one to tell people how you feel about them, do it today! Whether it’s in person when you see them, a phone call, a text, or even an email! Let people know their existence means something to you. Something as simple as “Thank you for being such a reliable friend” can go such a long way. Take advantage of this giving season and give some gratitude to others!! Have a Happy Thanksgiving, and don’t forget how important it is to not just go through Thanksgiving with a full tummy, but to make people’s hearts full too.